Remember when I designed our son’s nursery with the help of Wayfair.com? Well, today I’m over on their blog sharing more specific tips about how to skirt the all-too-common themed nursery design. 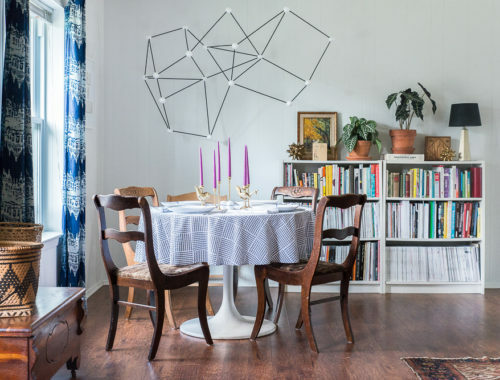 Bye, bye cliche themes… Hello, uniquely stylish decor! Hop over HERE to get the scoop. Additionally, I gave my stamp of approval to a few Wayfair pieces that made their way into the nursery. 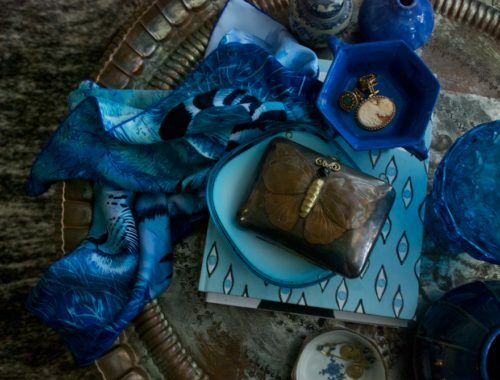 Here are my thoughts on each piece, which you can also find on the Wayfair website. 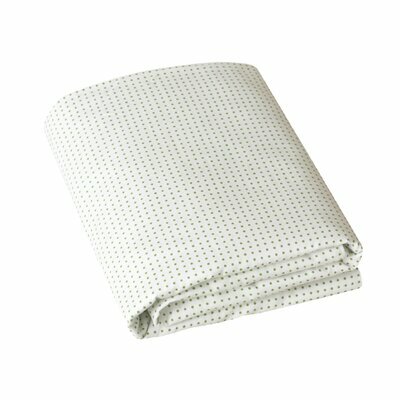 This green polka-dotted fitted crib sheet was the perfect choice for my son’s nursery bedding. The simple pattern paired nicely with the other bold patterns in his room and the green color added warmth without competing too heavily with the other colors. The cotton fabric is soft yet sturdy and the elastic banding keeps it snuggly in place. 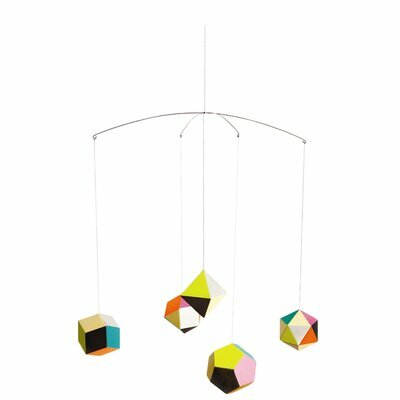 My son is absolutely in love with this mobile! Placing him in his crib is rarely difficult because he is immediately mesmerized by it’s bright colors and geometric shapes. 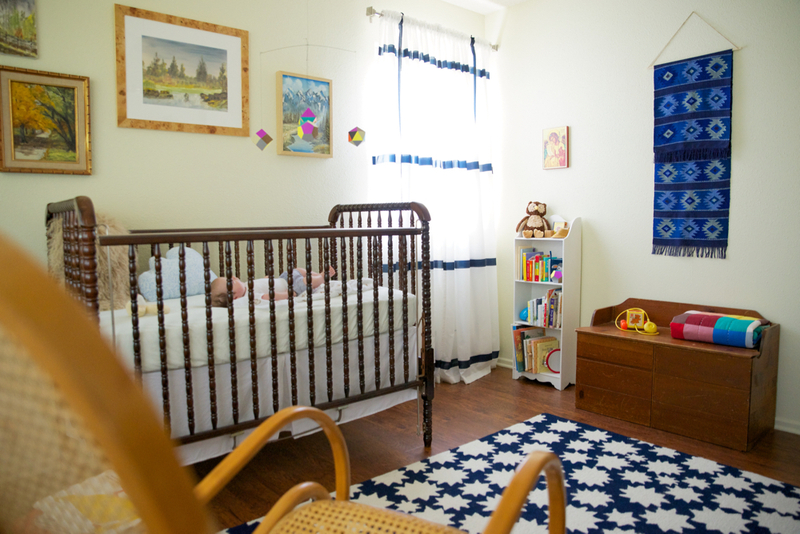 I love that it’s not like your typical mobile and elevates the design of my son’s nursery from something that could easily be kitsch to something that is modern and mature. 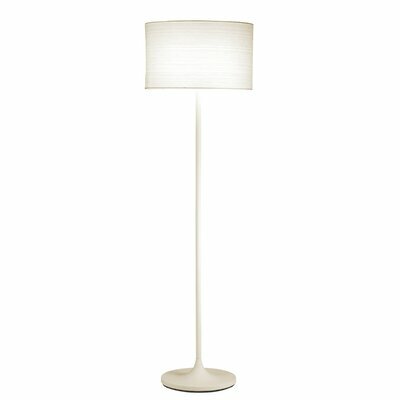 The Oslo Floor Lamp is the perfect modern lighting fixture if you’re looking for something simple, versatile and chic. 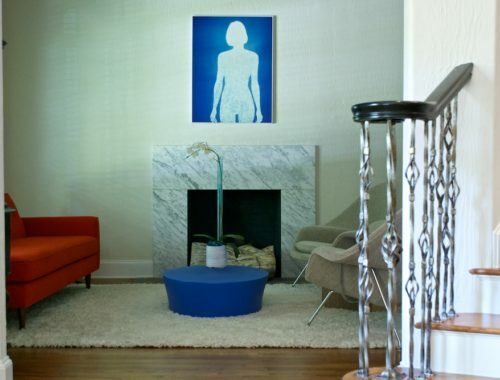 The tulip-style base lends itself to a classic mid-century modern aesthetic and the white shade and finish make it an easy match for just about any color scheme. I especially love it because it’s light casts softly through the semi-opaque shade into my son’s nursery room, where we have ours placed.